Having a little picnic in the park with Betzi turns 20 miles into a three hour ride. 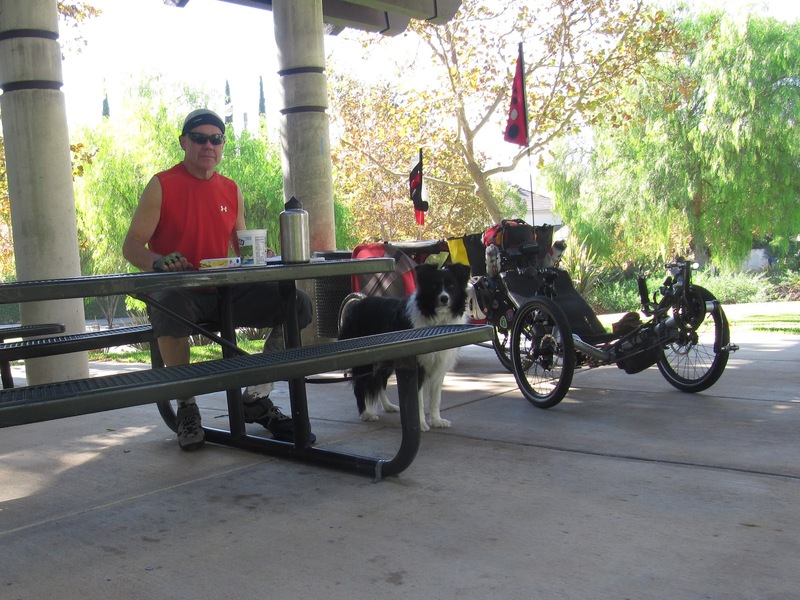 Today's picnic at Morrison Park in Agoura Hills. Towing Betzi and 1,250 feet of climbing slows things down as well. Pics from my ride today with Betzi. This is typical of the rides I take with ma doggie. Getting ready to head out. 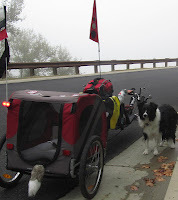 Betzi becomes my shadow as soon as she sees with my cycling duds on. First stop to take off my outer shirt. It be windy this day. Wind blown debris easily handled by Marathon Plus. Taking Betzi out of the trailer for a walk in the park and to stiff a few trees. 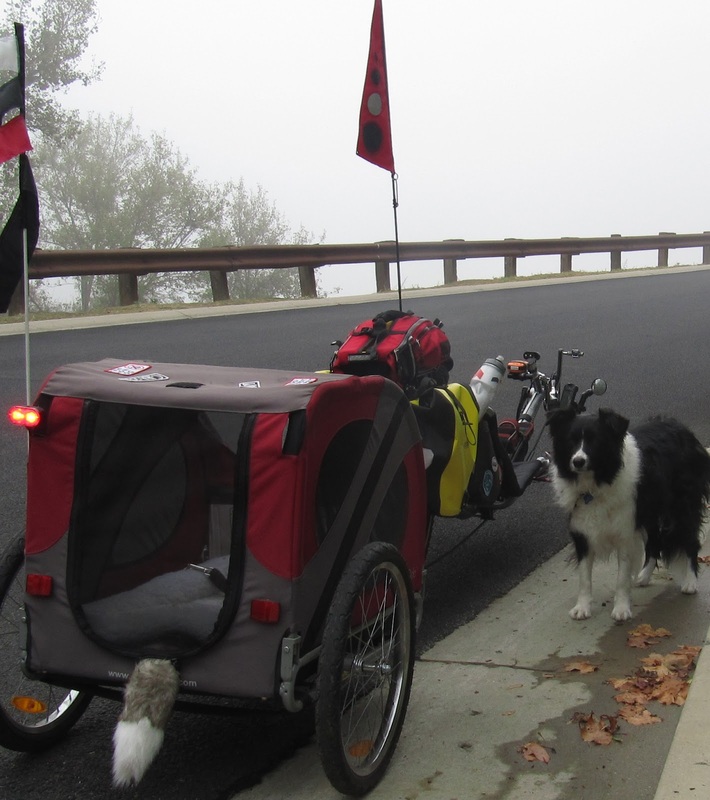 Betzi is ready for another walk while I ride uphill in a quiet residential area. 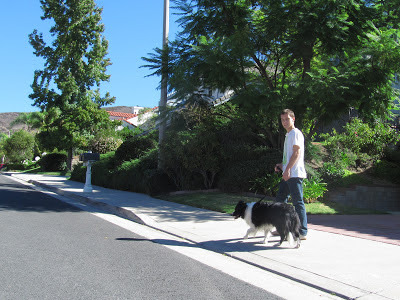 Byron usually walks down our hill to meet us for the final 1/4 mile ride/walk home. And that is how I roll with Betzi, two and sometimes three times a week. 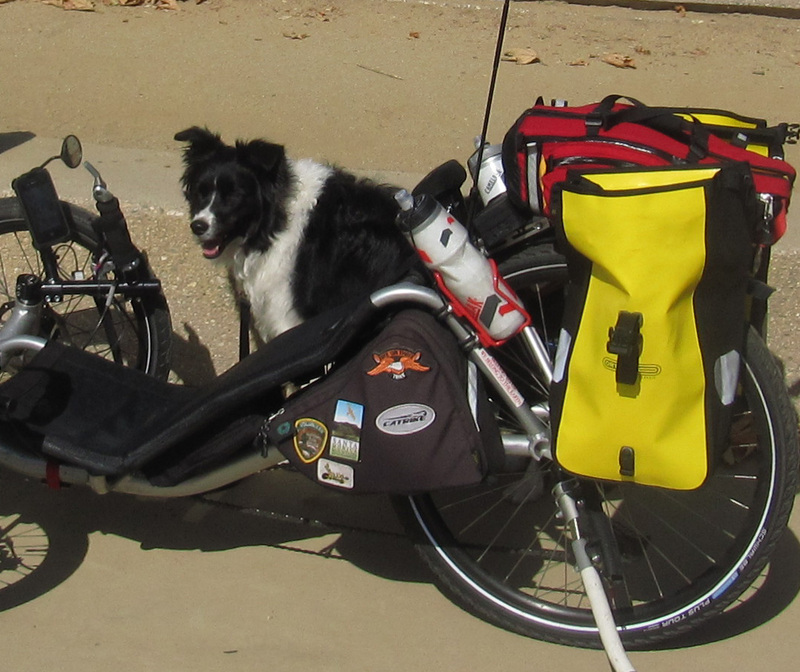 My rides with Betzi are between 12 to 20 miles with 1,090 feet of gain to 1,980 feet. Today's ride was 14 miles and a little under two and one half hours. The going is slow but fun with Betzi. I've spent the last two weeks trying to figure out why my chest muscles are sore. I stopped exercising my upper body at the first sign of soreness A few days ago the muscles in my shoulder and middle back started to hurt to the point where I had to take hydrocodone to be able to sleep. Then like a hammer over the head I remembered "duh, muscle soreness and pain are a common side effect of taking statins to reduce cholesterol". I don't do we'll with drugs, my liver enzymes are way up with statins. I started a generic Lipitor (atorvastatin) 10mg about three weeks ago, the combination of muscle pain and my liver getting zapped is enough, I'm done with statins. My cholesterol was already in a good range and I know I can make some simple modifications to my diet to lower it naturally. Bottom line, after 30 days I'm now off the stuff. If not monitored statin caused muscle pain can become a dangerous although rare condition known as Rahbdomyolysis where the muscles disintegrate sloughing off myoglobin from the muscle cells overloading the kidneys and causing them to shut down. I've collected a wealth of information via the Internet, an article by Stephanie Seneff at MIT sums it up pretty well. My next step is to find a general care cardiologist who is not accepting too many free lunches form drug reps and has a more integrative approach to heart health. My current cardiologist does research for drug companies (need I say more?) time to move on. I've been off Statins now for 6 days. That is more then enough time to recover from exerciser induced muscle soreness but from what I'm finding recovering time for Statin induced muscle damage ranges from 1 month to 7 months with the average recovery time 2.3 months. A paper my a group of MD's "Outcomes in 45 Patients With Statin-Associated Myopathy" covers the topic pretty well. Once the decision is made to go off of a Statin drug it can take up to 3 weeks to clear your system. Recovery time for muscle damage is a matter of patience. As with any drug the risks versus benefits of taking a Statin must be weighted. 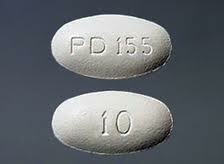 There is a wealth of information on the subject of Statins and muscle pain. To start off, here again are the links to two papers that will provide information on Statin induced muscle damage. Although they may get a little technical they're generally easy to follow. Use them to help guide you when asking your doctor questions. Since the last time I posted on leg cramps back in April I am still leg cramp free. In addition the occasional night cramp that I would get in my calf muscle has not reared it's ugly self. At least five days a week I do some resistance training for my calf and hamstring muscles. This is in addition to a simple and basic upper body workout I do at home at least twice a week.. I don't want to have a marshmallow upper body sitting on a set of hardened recumbent legs. Right now my resistance training for my legs is done at home using elastic bands. It's not so much building muscle as it's forcing my leg muscles to do full and hard contractions. As I mentioned previously it seemed that my leg muscles had developed a memory from many miles of cycling. 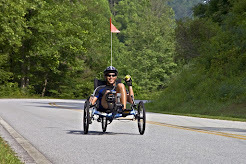 The the repetitive motion of turning the crank does not involve a full contraction of the various leg muscles used for cycling. It got to the point where I could be standing around the house and if I tried to do a full contraction of my calf or hamstring it would start to cramp. I don't have any science to explain this phenomenon it's just the way it was. I started using the elastic bands and carefully forced my calf and hamstrings into a full contraction. I couldn't contract all the way at first without starting to cramp. It took about a week to get to the point where I could do a full and hard contraction. After about a month I was able to hold a full contraction with a problem. When I was younger I spent many a day in the gym (at one time I even owned a couple of Gold's Gyms). I haven't exactly been chomping on the bit to go back to the gym again but now that Byron is using the gym for off season training for track maybe I'll join him. I could really get a good leg workout on the right equipment. I'll be giving it some more thought. Since I decided not to sell the 700 I've been splitting my rides between the 700 and the Expedition. I look back and try to understand why I would even consider selling the 700. I think it comes down to when I had my heart attach ten months ago, I was riding the 700 and riding hard when it hit. The 700 became the enemy, it let me down. Other then one short ride thereafter I never really got "back on the horse". I'm "back on the horse" and I feel no fear of being thrown. My unjustified fear was the enemy and not the 700. Both the 700 and Expedition are my allies. The fitness level I achieved before the heart attack, riding my trikes, played prominently in my speedy recovery. I was destined to have a heart attack, I unwittingly prepared for it my loosing weight and making by body strong. I now take regular rides on the 700. I'm starting to challenge myself by riding more miles and increasing my average speed relative to the amount of climbing (gain). More on that as I set some goals for myself. In 14 months I'll turn 60 and I want to be the fastest kid on the block with his tricycle. 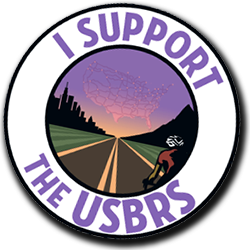 Finally the cool of Autumn is here and I can get out and ride...ride...ride. I spent the morning meandering around the hills of home with Betzi. 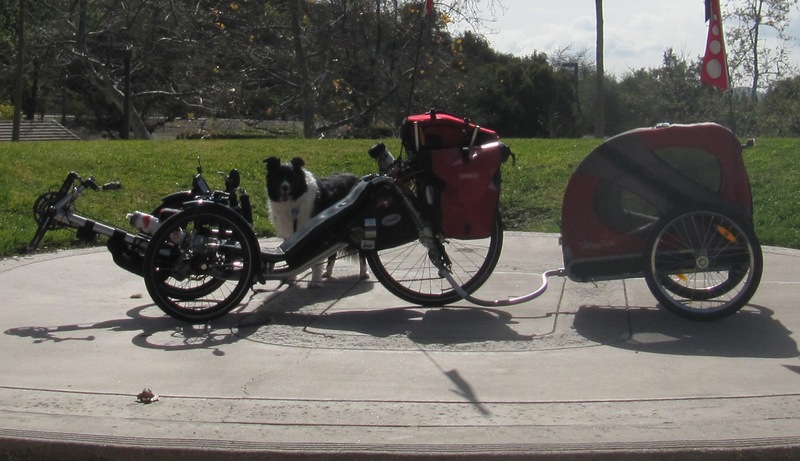 With a total gain of 1,840 feet and averaging a whooping 7.2 mph I spent three hours on the rode towing 90 lbs of dog and trailer...loved it! The morning sun started to soak up the fog just as I was putting the longest and steepest stretches of climbing behind me. Last week I rode the 700 three times. 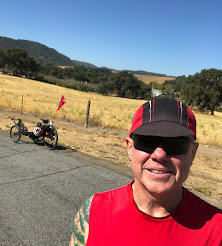 When the forecast is for heat followed by more heat I take the fast 700 out so I get some miles in before the sun kicks into high gear. The shrouded hills of home. The wide open and foggy road that leads me into the hills. Betzi gets to walk this one. Snack time at the amphitheatre in the park in the cool sun. Taking a long cut on a dirt path .